Welcome to nature. Welcome home. Individuality is a matter of course. A look from the windows rewards you with a view of nature. Whatever the season you'll see the rich green colors of fields and forests embellished by the fresh colors of spring, the bright, colorful blossoms of summer, the golden hues of fall and the glowing white of winter. Those who opt for a home in the “Garden Paradise” want a high standard of living. Nature was our role model in this project. We drew directly from the venue of the 2005 National Horticultural Show to create this ideal world for young and old. Those who live here can truly expect relaxation and tranquility. 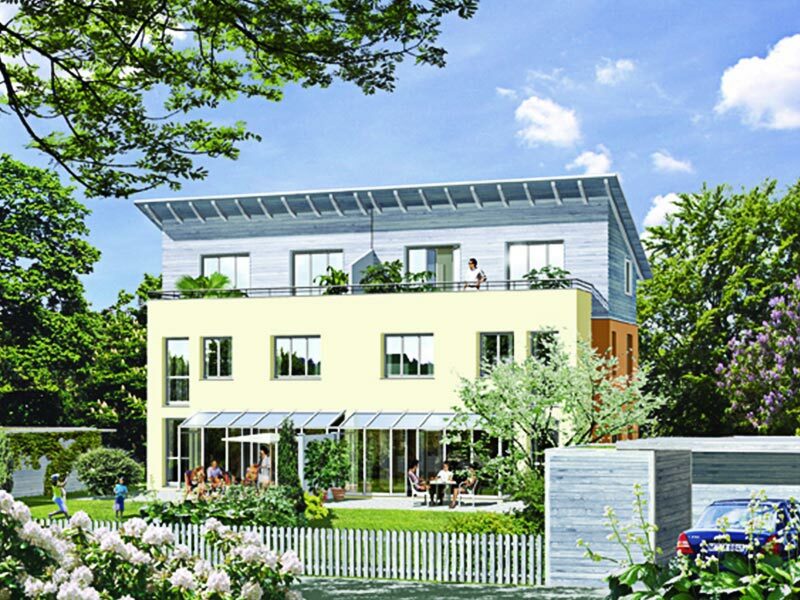 A location with the benefit of being both close to Munich and a healthy lifestyle in the midst of nature. Situated directly on the city limits, it doesn’t take long to “get in”. In addition, the community of Haar features broad range of infrastructure, offering everything you need and want for daily life. Salmdorf is a slice of Bavarian tradition. A little hidden away, relaxed and free from the expectations of daily life. Salmdorf is an invitation to you and your whole family to let your hair down and pursue your hobbies. The community of Salmdorf was first documented in 1015, when Sir Dietram von Sallandorf, knight, bequeathed his estate to the monastery of “Ebersberg”. The name Haar derives from “harde” (1073), “hart” (1416), referring to a sparsely forested area. Haar was first mentioned in a document dated 1073 belonging to the monastery Rott am Inn, gifting the estate of Harde to the monastery. Salmdorf has been a part of the municipality of Haar since 1924. Total inhabitants in Haar: 19,643 (as of August 2004). The “Garden Paradise” becomes an adventure park. It draws you into a world which you’ll enjoy with all of your senses. The leisure begins at your front door. Salmdorf seeks horses and riders, cyclists and hikers, soccer and tennis players, joggers and swimmers – but not cars. Where the street ends, that’s where the “Garden Paradise” begins. Those who prefer things a little quieter will discover amazing sights while taking walks. And watching the sun set is a special moment. 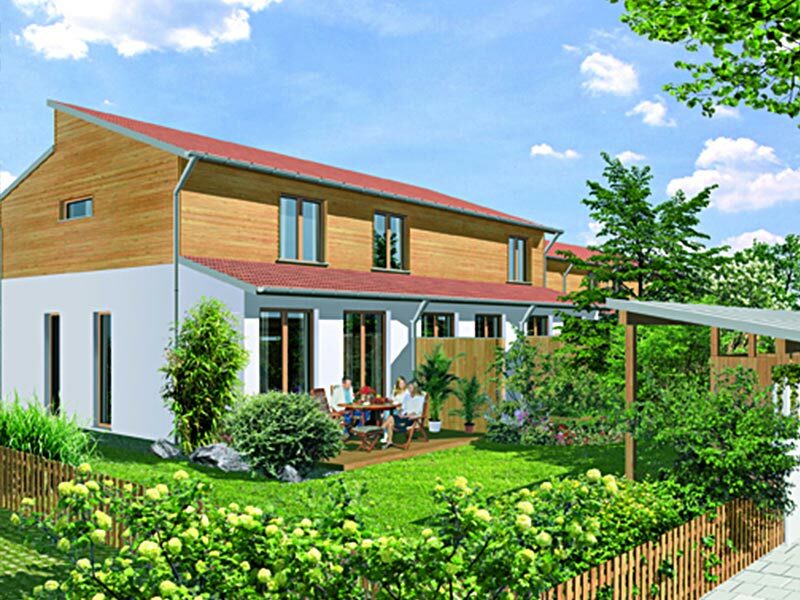 Salmdorf is an invitation to spend your free time in a healthy way. We recommend trying it out. 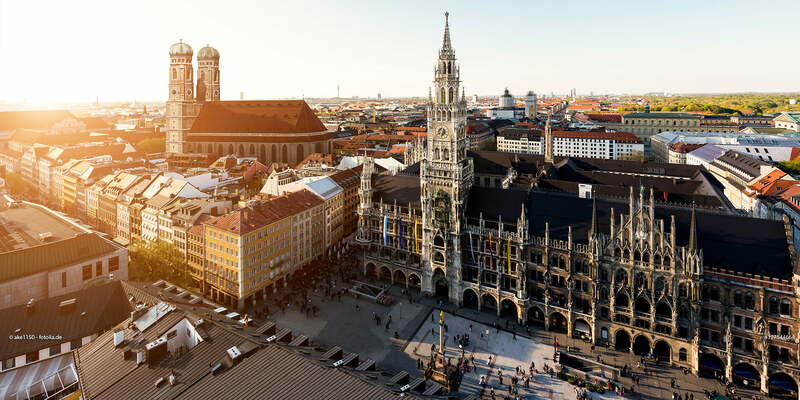 Munich’s east side – home to numerous forward-looking companies who have their headquarters or branch offices here. The connection via public transit is more than optimal. The new trade fair premises in Riem are without a doubt a major point of attraction with more and more employers settling around it and offering promising job opportunities. Dornach has developed into a center of economic power. Here you’ll find a whole slew of important companies offering secure positions. Don’t forget the community of Ismaning, which houses a media center. Mobility also belongs to modern working practices. That’s why the autobahn ring “Ost” leads directly to Munich Airport. All in all, living on the border of the metropolis is considerably easier and more convenient. You needn’t do without anything and still have everything you could possibly want. Hundreds of thousands of plants and flowers – subtropical and domestic – bloom each year in an amazing display of glorious color, inspiring visitors with ideas for their own lawns and gardens. Along the nearly 1,800-yard shoreline you're sure to find the ideal place for a refreshing dip in the newly created Lake BUGA on hot summer days. Naturally, all of this is within easy reach on foot or by bicycle. BUGA Park is also an attraction for your kids in the wintertime. Two sledding hills of different heights ensure their sledding enjoyment. BUGA 2005 offered a full program for young and old. Much of this has remained and benefited the local neighborhoods with permanent facilities such as a lake for swimming, a skater's halfpipe and playgrounds, as well as a diverse cultural program of open-air concerts, comedy, shows, theater and events for kids.